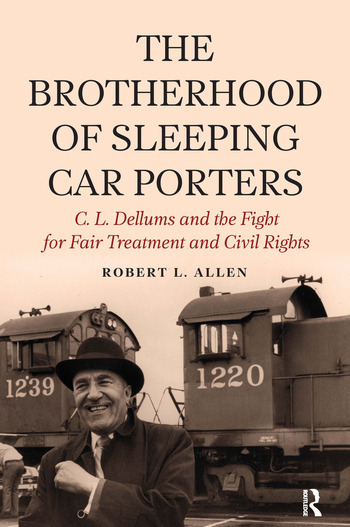 The Brotherhood of Sleeping Car Porters created a sea of change in labour and race relations in the US. For the first time in US history, a black labour union played a central role in shaping labor and civil rights policy. Based on interviews and archival research, this new book tells the story of the union and its charismatic leader C.L. Dellums, starting from the BSCP's origins as the first national union of black workers in 1925. In 1937, the BSCP made history when it compelled one of the largest US corporations - the Pullman Company - to recognize and negotiate a contract with a black workers' union. C. L. Dellums was a leading civil rights activist as well as a labor leader. In 1948, he was chosen to be the first West Coast Regional Director of the NAACP. This book is an inspiring testament to both him and the unions transformative impact on US society. Robert L. Allen--professor, author, and editor--recently retired as Adjunct Professor of African American Studies and Ethnic Studies at the University of California, Berkeley. He is the author, among other books, of Black Awakening in Capitalist America.